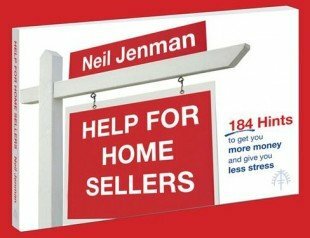 Home Sellers 184 Hints to help you get more money and give you less stress when selling your home. In bookshops for $10 or FREE from our office with NO STRINGS ATTACHED. Fill out your details below and we can send you your free copy today! It stands for Time On Market. The longer your home has been on the market, the less it is valued by the market. The difference between a good agent and a bad agent can be as much as 20% of the selling price. Seriously. That’s why you need to choose carefully. Home Sellers 184 Hints to help you get more money and give you less stress when selling your home. In bookshops for $10 or FREE from our office with NO STRINGS ATTACHED. Just fill out the form below to get your free book today!